The imagined learning experience of many art school students is filled with easels, drawing boards, cameras, and the latest digital media technology. Students think about being an artist or designer but they don’t necessarily consider how the process of becoming an artist or designer works. Surprising to many is the role the liberal arts play in a student’s transformation. At PCA&D, the Liberal Arts curriculum plays a significant role in a student’s overall experience. 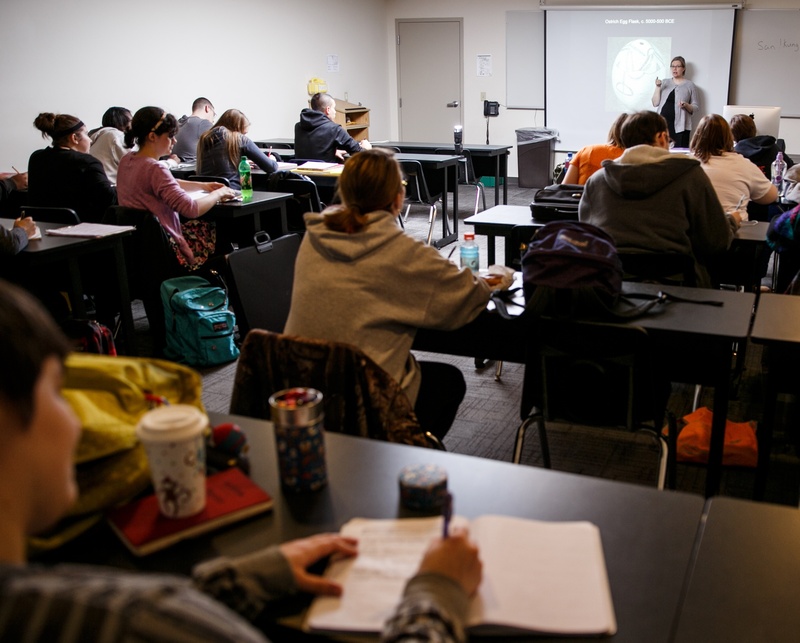 Students take 42 credits or 14 classes in the Liberal Arts Department. While there is a strong focus on art history and communication, students also take courses in the sciences, math, and the humanities. But, PCA&D is an art school so aren’t studio classes more important? Of course not! 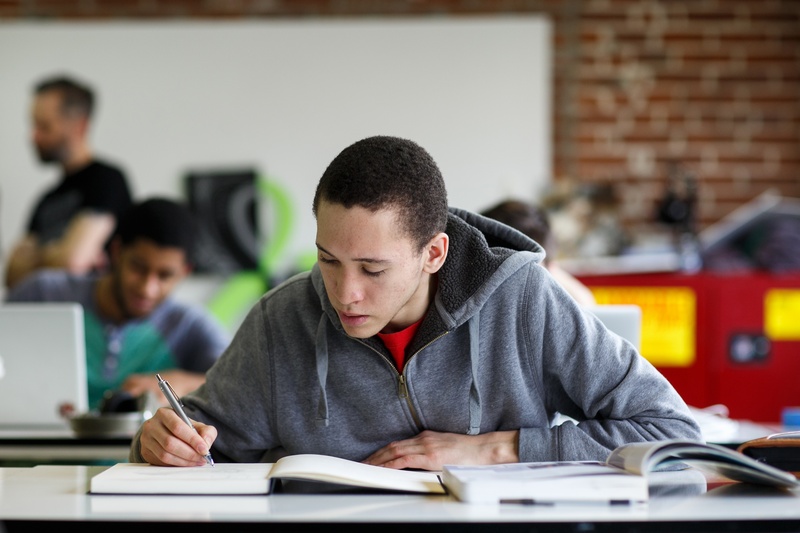 Classes that students take in the Liberal Arts Department provide them with essential skills which they will need when they enter the workforce: knowing how to determine what the right questions are to ask, assessing the information they obtain, and clearly communicating their ideas. Researching a topic and forming an opinion that can be articulately expressed are critical skills for the classroom AND life in the real world. The brain is the most important tool that an artist or designer has to generate new solutions, new ideas, and new commentary on the world around us. The Liberal Arts curriculum at PCA&D feeds students’ brains by giving them an opportunity to learn about a wide range of subjects and by asking them to complete assignments designed to build competencies in communication and critical thinking skills. And, in doing so, the Liberal Arts department helps to prepare students to enter a global community of artists and designers. Dr Jessica Sponsler is Chair of PCA&D's Liberal Arts Department. She received her Ph.D. from the University of North Carolina at Chapel Hill and completed her undergraduate studies at University of Pennsylvania. In addition to chairkling the Liberal Arts Department, Dr Sponsler teaches Art History at PCA&D.